I got a surprise today on a early morning hike. 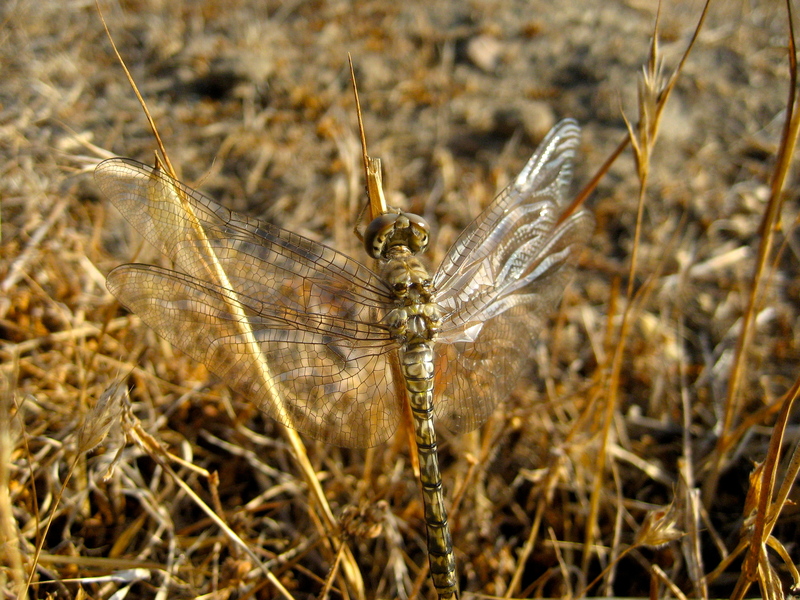 I paused at a patch of dried grasses to enjoy the view and my eye was attracted to the glimmer of translucent wings. I moved in close to savor the stilled beauty of a dragonfly with all its colors muted. I thought perhaps the creature was a deceased relic, simply a shell, and so I moved in closer. The surprise came when the perceived reality was rewritten as the dragonfly quickly flicked to life and darted away. Up into the air he soared and kissed the sunbeams and reflected rays of sunshine back at me. What I thought I’d seen became suddenly and surprisingly a delicate astonishment of wonder and delight. What better gift to receive this morning than the lift of life darting and swooping in the air atop the hilltop while the coolness of dawn still lingered under a clear blue sky.